Kaki King redefines the role of solo instrumental artist through her stunning technique, insatiable imagination and boundless humanity. 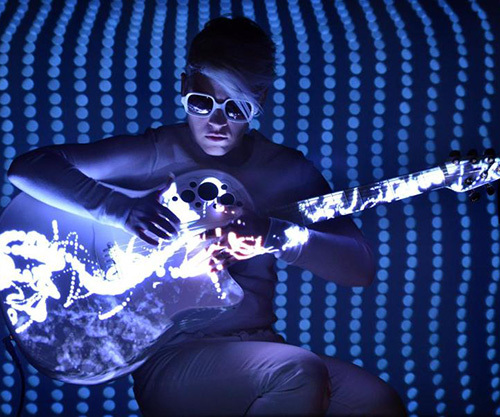 Visionary musician Kaki King curates ground-breaking new multi-media performances using light projection mapping to present the guitar as a metaphysical blank slate. As a contemporary virtuoso guitarist, she redefines the role of solo instrumental artist through her stunning technique, insatiable imagination and boundless humanity. In her highly anticipated upcoming show at Melbourne Recital Centre, Kaki King presents the guitar as a canvas, where luminous visions are cast onto her signature Ovation Adamas guitar which has been customised specifically for the tour. The result? Spellbinding visuals, mesmerising melodies and a feast for the senses. See for yourself in the video below. "It's easier for me to put feelings into music. The guitar has always been the way that I express myself best… It's always been in control. It's been the thing that drives my life, and not the other way around"
For guitar aficionados, King plays an Ovation Adamas 1581-KK Kaki King, with Ovation’s High Output pickup and OP-Pro preamp. She tours with two signature models in ever-changing tunings. 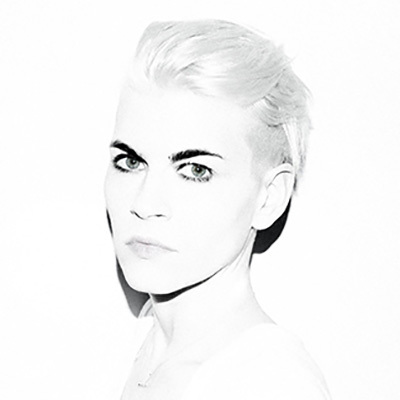 Kaki King plays Elisabeth Murdoch Hall on Monday 13 August in a double bill with Derek Gripper. SEE YOU THERE.